After stumbling upon a hidden trove of diaries, acclaimed New Yorker writer David Grann set out to solve "the greatest exploration mystery of the 20th century": What happened to the British explorer Percy Fawcett and his quest for the Lost City of Z? In 1925 Fawcett ventured into the Amazon to find an ancient civilization, hoping to make one of the most important discoveries in history. For centuries Europeans believed the world's largest jungle concealed the glittering kingdom of El Dorado. Thousands had died looking for it, leaving many scientists convinced that the Amazon was truly inimical to humankind. But Fawcett, whose daring expeditions helped inspire Conan Doyle's The Lost World, had spent years building his scientific case. Captivating the imagination of millions, Fawcett embarked with his 21-year-old son, determined to prove that this ancient civilization, which he dubbed "Z", existed. Then he and his expedition vanished. Fawcett's fate, and the tantalizing clues he left behind about "Z", became an obsession for hundreds who followed him into the uncharted wilderness. For decades scientists and adventurers have searched for evidence of Fawcett's party and the lost City of Z. 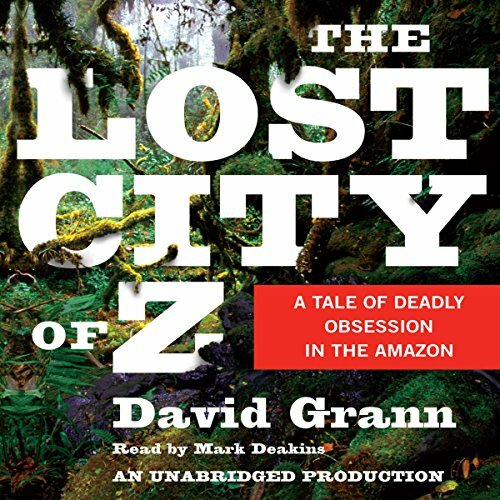 As David Grann delved ever deeper into the mystery surrounding Fawcett's quest, and the greater mystery of what lies within the Amazon, he found himself, like the generations who preceded him, being irresistibly drawn into the jungle's "green hell". His quest for the truth and his stunning discoveries about Fawcett's fate and "Z" form the heart of this complex, enthralling narrative. 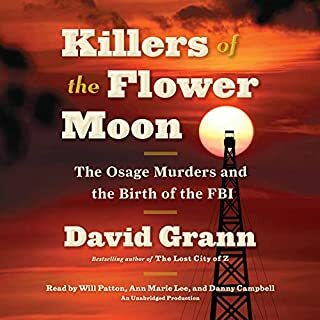 David Grann produces a worthy read with "Z". He painstakingly pieces together the mystery of Percy Fawcett's fate while undergoing his own quest. This is an exciting, well documented journey into one man's obsession that alighted the world in the 1920s -- and you'll walk away with a sense of what it was really like to enter an unknown world. The unbelievable hardships and courage to undertake such an adventure will astound -- and just when you think you've got it all figured out -- the ending will amaze. Great Yarn - And It's True!!! Held my interest all the way through. The accounts of the incredibly difficult journeys through the Amazon are spell-binding. The fact that these explorers actually carried out and survived these adventures is really amazing. And, the narration was great. I want to be an adventurer! During the listening to The lost CIty of Z I several times damned the satellites surrounding our earth, griding out every inch of it and making all explorations so easy. 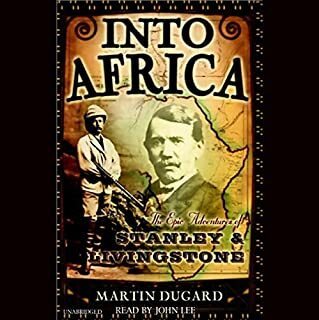 I recommend it firmly to those of you who want an insight in the world of explorers i the lats 19th and early 20th century. Well written. 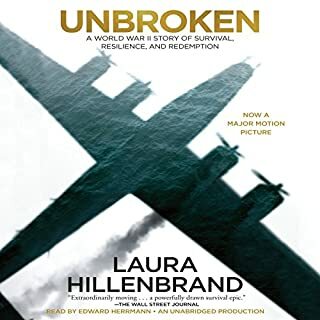 This is a terrific non-fiction book from start to finish. 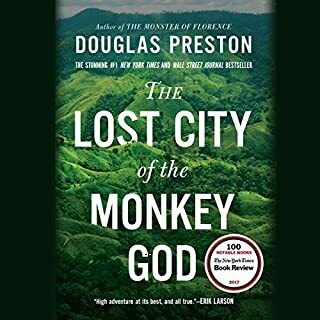 Written from the perspective of a writer about to retrace the 1925 lost expedition of Percy Fawcett, it incorporates Fawcett's obsession with finding a lost city in the Amazon that he has no information about other than having convinced himself it exists. The author smoothly transitions from Fawcett's time to the present and back including historical perspectives of the late 19th, early 20th century. If you've listened to or read 1492, you're familiar with how the New World Indians were considerably more numerous and their culture more advanced until the Europeans arrived with new diseases that decimated their populations. That's wrapped into the interesting conclusion. It's an adventure, an education and provides great insight into the Green Hell of the Amazon. If you could sum up The Lost City of Z in three words, what would they be? What was one of the most memorable moments of The Lost City of Z? Any mention of bugs burrowing and living under the skin of the men for long periods of time...I can't get those images out of my head! No extreme reaction, and definitely no laughing! It was very relate-able though, so I feel like I really got to know the men and what they were going through. This story will stick with me for a while. It was a little dry in places, but isn't most non-fiction? I thoroughly enjoyed this book. It was a case study in adventure, in native people, in the rain forest, and in human nature. 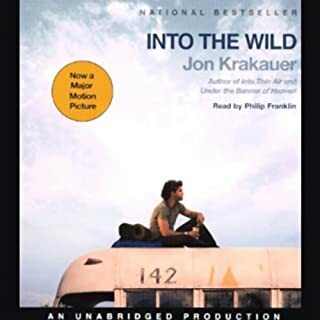 Not that having a movie based on a book should denote its success, but I honestly cannot believe there is not a movie based on this one, given the number of people who tromped off into uncharted territory looking for the original lost crew, and then those who went off looking for them when they didn't return! The amount of fame given to this "Lost City of Z" in it's day is amazing, and that I'd never heard of it before I read this book, even more so! I also thought it was amazing how awful the natives were treated (maimed, tortured, killed by the hundreds and thousands) by early explorers, and that THAT has not received more attention in our history books or by Hollywood. 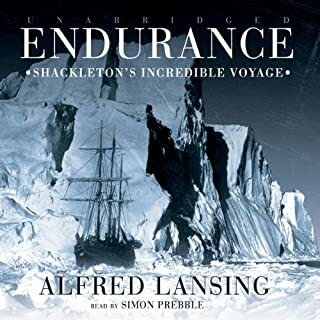 I also read Endurance, about a shipwreck in the Antarctic, and found it absolutely fascinating, if not unbearably unlucky, that one of the men who survived that hell went on to experience this one. All in all, I would recommend this to a friend. If you love history, exploration, and/ or real-life mysteries, this book is for you! Percy Fawcett was born to be an explorer, first with a military career, then studying at the Royal Geographical Society and heading to South America, where he mounted seven major expeditions to the deepest Amazon rainforest between 1906 and 1924. He gradually became convinced of the existence of an ancient city he called “Z,” and which is mythically known as El Dorado. Fawcett disappeared on his last exploration, together with his son and a friend, and while no one could pick up his trail over the years, it’s estimated that over 100 died trying. David Grann’s account of Fawcett’s life, and his own efforts as a journalist to learn the truth of his disappearance and the lost city, met largely with critical acclaim in 2009. And there were more than a few dissents. But whatever the reception, the book is a heroic, edge-of-your-seat adventure from start to finish, of a sort whose time now belongs to the misty past. While I found the overall story interesting, the author had a very confusing way of switching between the present (his own search for Faucett) and Faucett's actual journey. If you really want to read an excellent book about exploring the Amazon, read "River of Doubt" - about Teddy Roosevelt's journey down the Amazon. Much better book. As a voracious audible listener Im very familiar with publishers marketing of a title. However in this example its misleading. In effect you will listen to the biography, admittedly of a very interesting character, but its not what is advertised. As another reviewer stated..how many times can you say the same thing in different ways? The answer in this case ad infinitum! The story is disjointed and feels in all honesty like a rewriting of someone's memoirs. However three stars as the narration and production are excellent. This books tells the fascinating story of world famous explorer Fawcett and his numerous treks to the Amazon. Part history book, cultural analysis and the description of a man whose maniacal quest that put himself and his entire family at risk. Fascinating. It has to be Fawcett. The term obsessive-compulsive gets thrown around a lot today, after reading this book your definition will change. I guarantee it. No but I thought he did a good job. This is fundamentally a fist person account, and the author is a relatively young man. the author captured his enthusiasm and perspective very well. Solid job. It cannot be discounted how much courage it took the author to do what he did. From an apartment in NYC, to a trip to a sporting goods store to going to the Amazon... wow. the authors journey was fascinating and added to the back-story of Fawcett and his maniacal quest. The style of the book is essentially reporting based. There is no real narrative, but several levels of history, current events and historical documentation. If you are interested in learning about this fascinating region, and the efforts to understand it over the years, you will enjoy this book. I did ad I highly recommend it. I found this book very disappointing. The author often references the excellent River of Doubt, which is what anyone interested in this kind of story should read. I don't know why this book got so much hype, it was one of the few audible titles that I could barely get through.